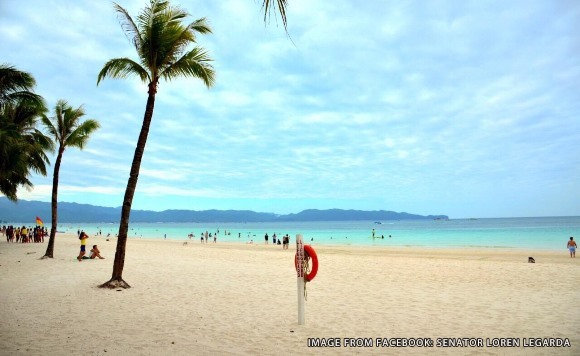 Senator Loren Legarda is impressed with the beautiful and tranquil Boracay after its recent six-month rehabilitation. The senator recently returned to Boracay for a visit, lauding its transformation into an ecotourism destination. “Grateful to be on this beautiful island, which is now quiet and restful, far from the overpopulated party place that it once was. It’s a true model of political will.🏼 ” she wrote on Instagram. Legarda, an advocate for environmental protection, said pristine state of natural tourist spots must be preserved in promoting ecotourism. “We should not build on protected areas or encroach critical biodiversity areas; we should not use our islands, seas, bays and rivers as sewerage or garbage bins; instead we must preserve our wetlands and forestlands, which ensures the balance of our ecosystem,” she said.